Honda Cosmis Racing Wheels & Rims at CARiD - New Product! - The unofficial Honda Forum and Discussion Board Forums For Honda automobile and motorcycle enthusiasts. Honda Cosmis Racing Wheels & Rims at CARiD - New Product! Member Group And Special Buys HondaForum.com Vendors and Advertisers will post special group buys for our members here!! Check it out. Dedicated to quality, excellence, and innovation, Cosmis wheels manufacturer has created a complete line of flow-formed Racing Wheels for cars. Their wheels will add a sporty attitude to your ride and set it apart from all the rest. Manufactured to perform at their best and made to be as lightweight and durable as possible, these premium-grade aluminum wheels will ensure the excellent look of your ride for years at an affordable price. Cosmis wheels are available in a wide variety of finishes and styles to tick all the boxes for you. Check out the most prominent Cosmis wheels. 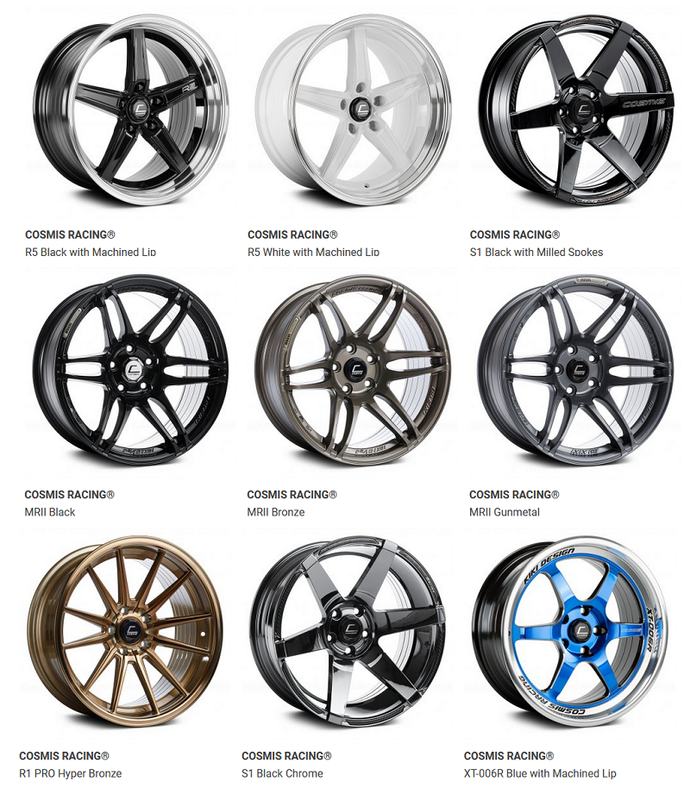 CHECK OUT THE FULL LIST OF COSMIS WHEELS ON OUR WEBSITE. Take your driving experience to the next level by adding an aggressive sporty attitude and a stylish appeal to your Honda with Cosmis racing wheels at CARiD. Last edited by carid; 10-15-2018 at 05:59 AM. Braum racing seats for Honda available at CARiD! new product for all you riders!!! Quick Reply: Honda Cosmis Racing Wheels & Rims at CARiD - New Product!